Online reservations at Kaluz Restaurant can only be made directly on their website. Was a little disappointed about not having a table next to the windows or seats outside, but overall great service. Also, there was traffic on the way to the bathroom and back to my table, due to the people at the bar. I didn’t like that at all. Perfect setting on the intra coastal, exceptionally delicious and generous portions. We are, and will continue to be repeat customers. We were celebrating our anniversary and we had an amazing time. 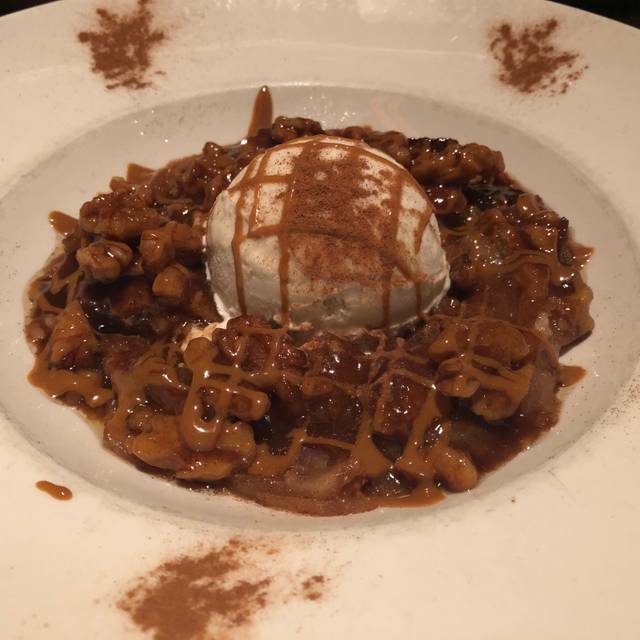 Excellent service, excellent food, we will definitely be back again soon. This place has gotten better and, the hostesses are outstanding! You won't be disappointed! Our meals were absolutely amazing !!! Service was great ! View is great ! Couldnt ask for a better experience !! Ambiance, food & service can't be beat -- LOVE this place! Consistently excellent! My overall view of Kaluz was great food although the inside of the restaurant was very cold initially. They did turn the a/c down which improved things. We initially shared a tomato flatbread which was excellent and my guests had the kabob and salmon. 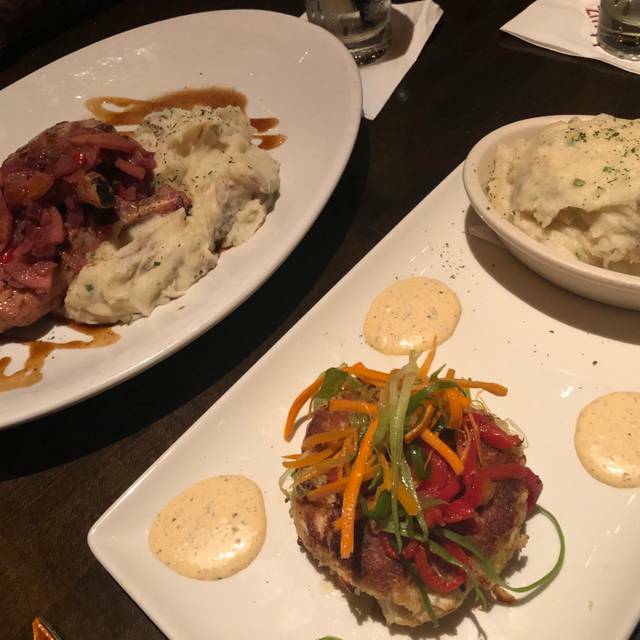 I had the lump crab cake and although it was very good there could have been more of a salad or coleslaw type side with it as it was much less than the other 2 meals. My chardonay ( Hess) was excellent and I would recommend the restaurant and I will return. excellent service, delicious food. wonderful and attentive staff. As always, exceptional. 5 star food, 5 star service, and 5 star staff. Whomever is the owner & manager, should be heartily congratulated on how to operate a successful establishment. And a big shout out to our server (whom we’ve had before), Frank. A real pro! Excellent service.. food was fresh and delicious! Exceptionally patient waiter. He knew he was assisting with a romantic encounter. Food was delicious and service was excellent. However, dining inside does not compare to my experience dining outside. Dining outside makes the experience! It was generally good but they got my entree wrong. Great food, nice ambiance, great service. Please learn how to make Grilled Artichoke before offering specials ! Jennifer, our server was very attentive. First time diner I'll be back. Definitely was worth the drive from Miami to Fort Lauderdale to meet out of town Friends halfway. We have dined here previously and have enjoyed ourselves once again. The service was very attentive and the food was tasty as well as the cocktails. Nice selection on the menu and outdoor dining too. Good meal with great atmosphere. Slow kitchen and inattentive waiter. Kaluz is a fun dining experience. The Zagat review piqued our interest so we made reservations. 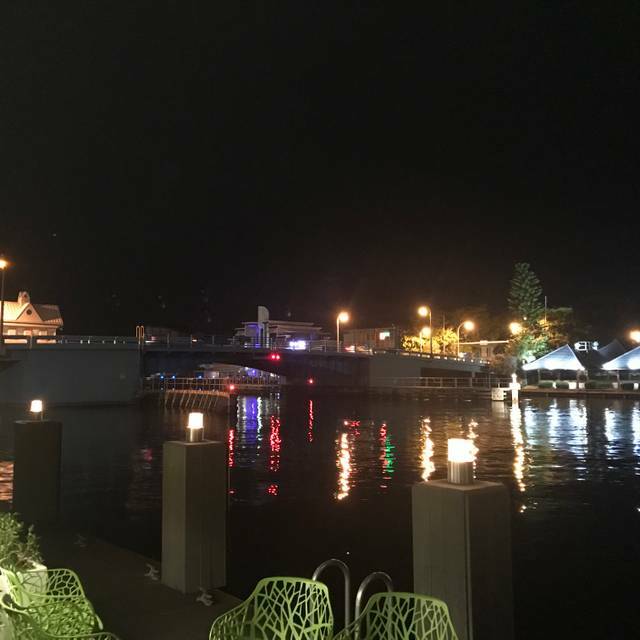 The restaurant is located on Commercial Blvd right on the intracoastal waterway and boasts a stunning outdoor eating area along the waters edge. The outdoor tables are first come-first served so cannot be reserved. But the tables inside overlook the water, the bar area or kitchen, which all offer interesting views. The food is outstanding. We started with grilled octopus and tuna tartare, both of which we absolutely recommend. The octopus was perfectly tender and tasty while the tuna had a scrumptious, light dressing topping avocado. For our entrees we got the Chilean sea bass with artichokes, set on asparagus, always a favorite and this was superb, and the Thai salad with spicy shrimp. Generous portions so we took half the salad home. We will definitely return. The food was truly wonderful. The frustrating part of dining here started with nearly required valet parking. If you want valet parking you’re golden. But they don’t make it easy to park yourself. There is parking along the inside edge of Commercial Blvd, but we had to ask where we could park. The restaurant is very popular so we had to wait a short bit to be seated while they found more menus. Not really an issue, but I thought I’d mention it. Our server was pleasant enough but we felt rushed throughout the meal. 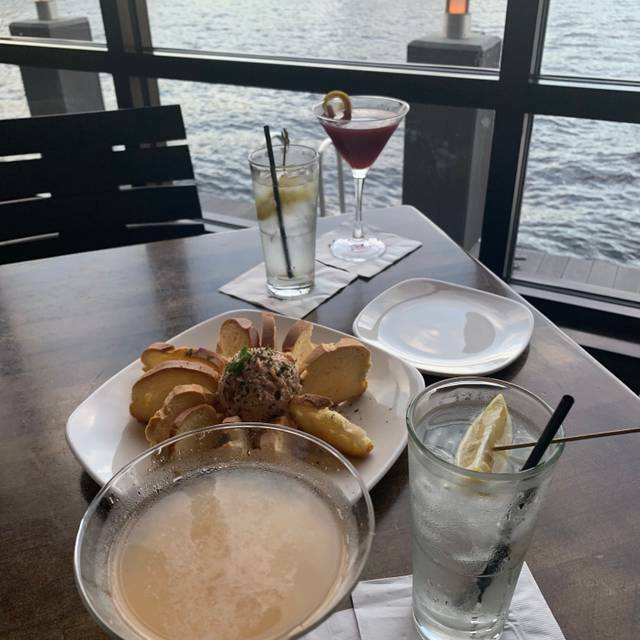 The server kept saying our food would be right out and we always said we were in no hurry and wanted to enjoy a leisurely meal. But we hadn’t even had our starter plates removed when our meals came out. The white Viognier wine we ordered arrived @ room temperature and had to be chilled in a stand-up plastic bag with ice, set on the table, before we could drink it. Once chilled, the wine was a perfect compliment to our meals. Overall, our impression was good. The food alone is worth coming back to try again. 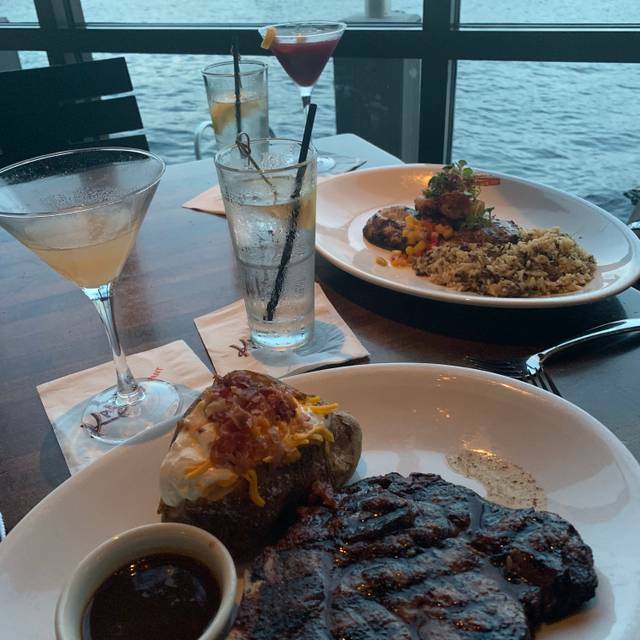 Hopefully next time we can get a table outside and enjoy a relaxed evening dining on the water. Our server, Zach, and his team were amazing. We had the sea bass, a veggie burger and tried four different red wines. The grill makes all the difference. Lovely restaurant with consistently good food and service. The mussels are always delicious and the salads are fresh and plentiful. We enjoy the view - watching the boats float past. 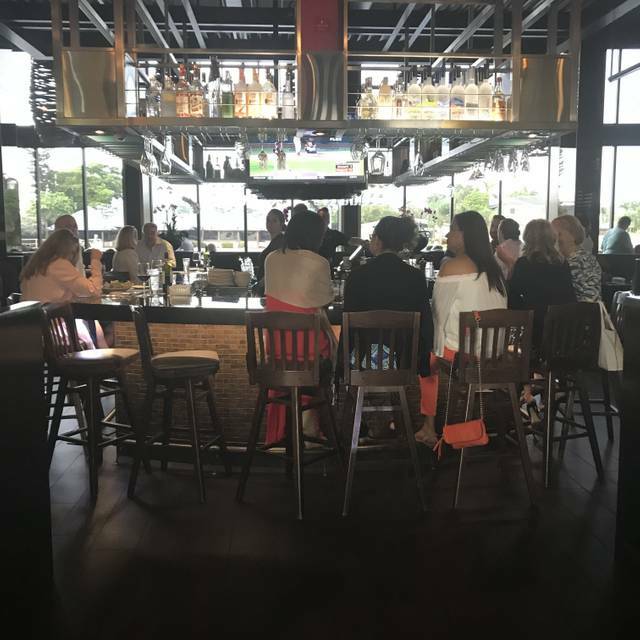 Great place to bring friends and out of town guests. Location is awesome. Food was delicious, as it has been with every visit. We were able to sit outside. It was beautiful. Ordered a salad and the Filet Mignon to share. Had drinks and wine also. 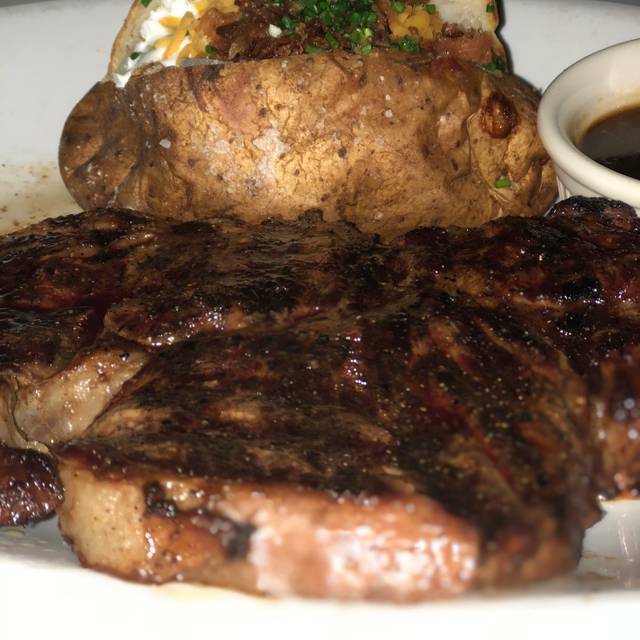 Steak came rare, not medium. Others arrived and ordered after us and got their meals before us. It just seemed that the service was not very attentive. I'm sorry about that because I was really excited to go and have dinner there. Amazing as always. Out waitress is the best. I had the Seabass and it was outstanding! Our waitress was excellent as well. Will definitely be back. This lovely restaurant has a good menu with varied options. The atmosphere is very pleasant and picturesque. 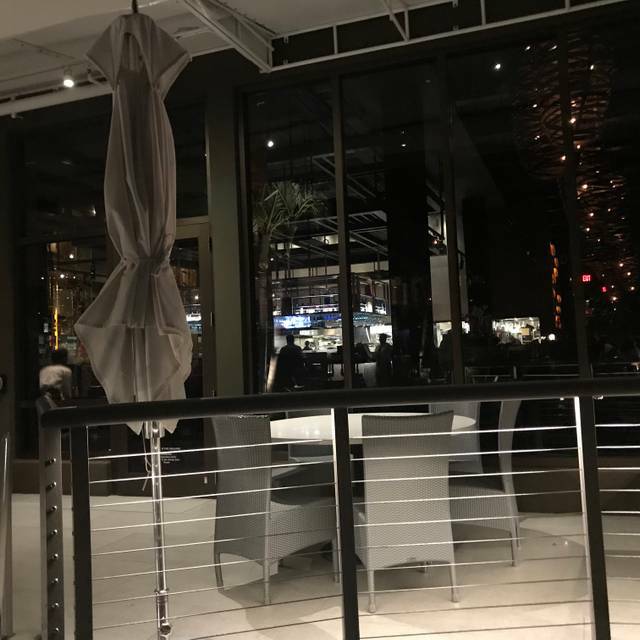 Kaluz has been one of our favorite restaurants since it opened a few years ago. Service and food have always been top quality. Ambiance is excellent. Food great and the staff were awesome! Our server was exceptional and recommended the sea bass. We all loved it. Excellent find! I had the mahi tacos and they were some of the best I’ve had. 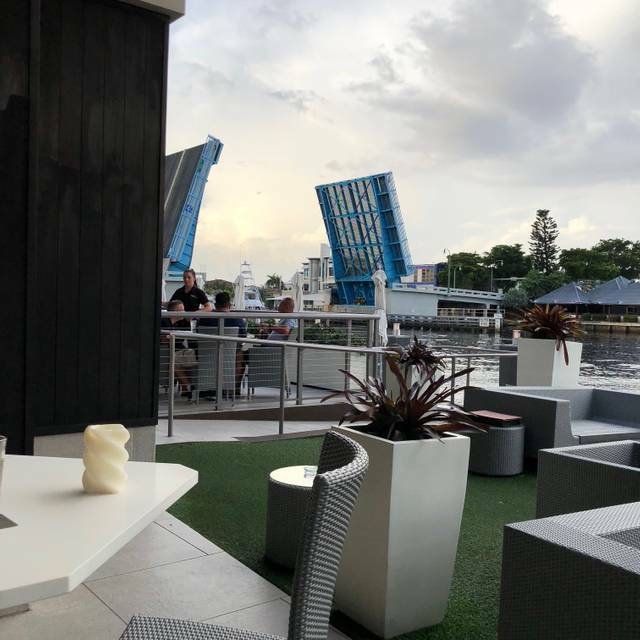 The view of the Intracoastal is beautiful and the service was great. Will definitely return!